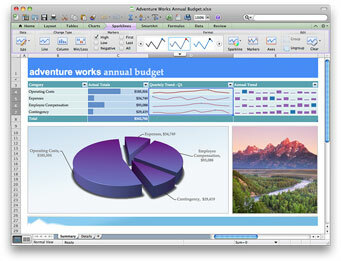 The Microsoft Office for Mac 2011 is the new version of the Microsoft Office productivity suite for Mac OS X operating system running on Intel-based Macintosh which was released on October 26, 2010. 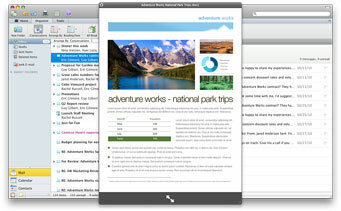 Office for Mac 2011 is comparable to Office 2010 for Windows, and is the successor to Microsoft Office 2008 for Mac. 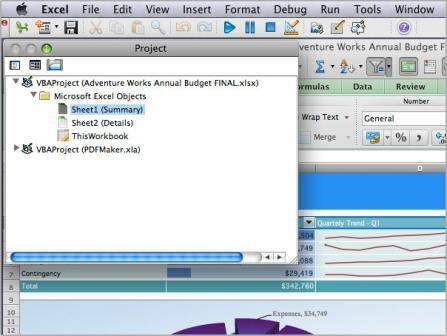 Office 2011 for Mac has been undergoing major user interface revamp, with inclusion of the Ribbon making the UI similar to Office 2007 and Office 2010 for Windows. 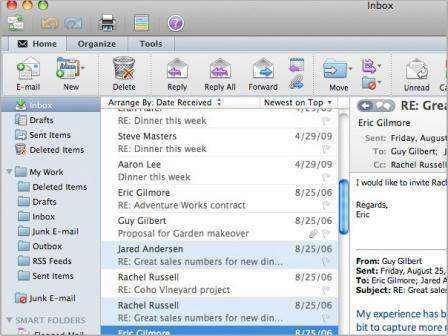 Features and functions have also been expanded and enhanced, with focus on collaboration enterprise support and greater feature parity with Windows edition, including a new version of Outlook written using Mac OS X’s Cocoa API which has been absent since 2001 with Entourage as replacement. 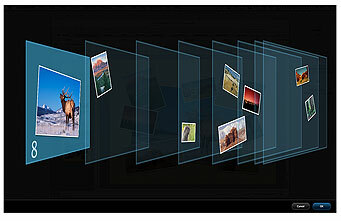 Dynamically reorder layering elements of rich documents such as text, shapes pictures, SmartArt, animations and charts in PowerPoint and Word. Picture editing from within Word, Excel and PowerPoint documents with supported functions include recolor photos and images, apply filters and corrections, remove extraneous background imagery and more. Ribbon UI (user interface) with most common tools on the toolbar. Outlook integration for e-mail, calendars, contacts, and tasks with Unified Inbox to all all inboxes in a single view. Coauthor documents in real time or add audio and video to chats with various collaboration tools without plugin required, which also compatible Office for Windows. 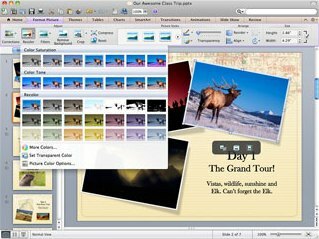 Template Gallery allows access to thousands of Word, PowerPoint, and Excel 2011 themes and templates for creating professional-looking documents with preview capability. Office Web App together with Windows Live SkyDrive allows users to access, view and edit documents, worksheets, presentations and notes directly from the Web browser. Support for Visual Basic for Applications macros in Excel, Word and PowerPoint and includes IntelliSense, which uses auto-completion for the symbol names the programmer is typing. Get your documents coded and out the door faster. Inline full calendar view within Outlook Inbox with ability to see custom calendar views based on categories. Sparklines in Excel to help users easily create charts and graphs that quickly summarize the data. Full screen view support which allows user to maximize the on-screen space for reading and writing documents. 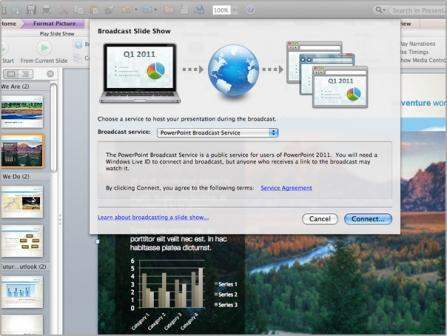 Broadcast Slide Show of PowerPoint for Mac 2011 gives user ability to present to multiple people remotely via the Web with no special software or hardware required, improving communication and reducing travel costs. 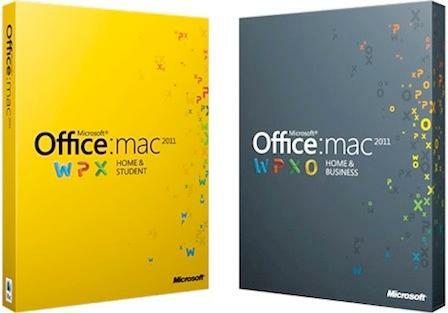 Two editions (and prices) of Office 2011 for Mac available – Microsoft Office for Mac Home and Student 2011 and Microsoft Office for Mac Home and Business 2011. 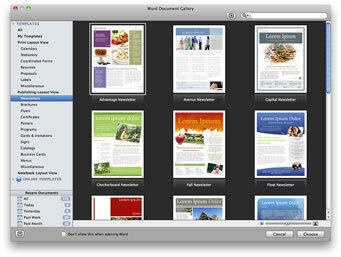 Nonetheless, Office for Mac 2011 has a few limitations when compared with Office 2010 for Windows. It does not support ActiveX controls, and cannot handle attachments in Rich Text Format e-mail messages sent from Outlook for Windows, which are delivered as winmail.dat attachments. It also does not support OpenDocument Format.